Download "SRL Networks Presents Goodbye Friday" on The Skunk Radio Live Record Store. Goodbye Friday is 4-member teenage boy band from New Jersey, USA with seasoned musical instrument skills, dynamic vocals and very compelling live performances. They are not just 4 guys singing, dancing, and melting the hearts of teenage girls. Goodbye Friday does all of that, plus play their own instruments and write ambitious, meaningful and very radio friendly songs that appeal to not just Pop music fans but fans across all genres. Goodbye Friday lives to make a positive impact on people through their music. 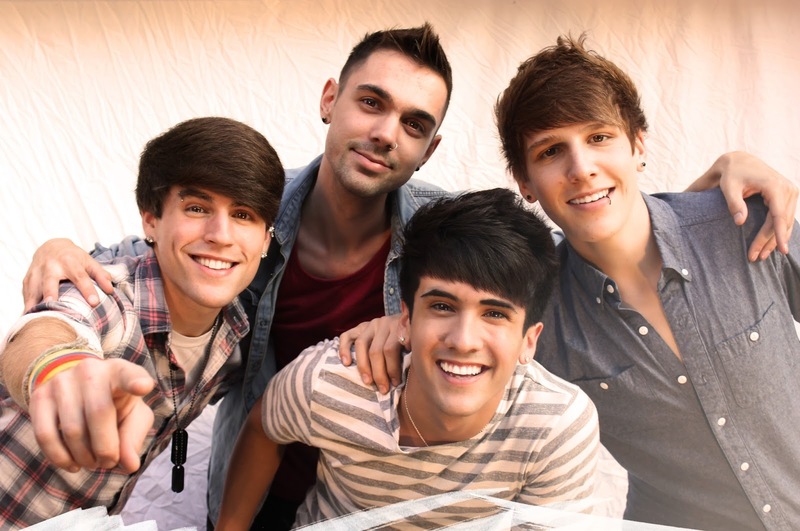 They are teen magazine favorites and have won several awards as well as shared stages with various popular acts including Joe Jonas, Sarah Bareilles, Rachel Crow, Ryan Cabrera, Aaron Carter, Forever The Sickest Kids, Burnham, Romance On A Rocketship and Weather Star. Listen out for Hollywood Baby and other songs by Goodbye Friday on Skunk Radio Live Pop, Rock and Indie programs.